The liquid cooled V4 781cc four stroke engine produces 110bhp at 9,000rpm and maximum torque at 6,750rpm. It isn't a VTEC engine like the later VFR models though. The 17" cast Aluminium wheels take a 120/70 tyre up front and 180/55 at the rear. I've had 31 bikes over the course of 35 years, some pretty hot tackle included, but my 1999 Viffer has got under my skin and I'm in no hurry to change it for anything else. It was in great condition when I acquired it two years ago but was mechanically in need. With only 16k on the clock it was age that had gotten to it. It's quite possible that I've carried out more work that most owners ever will, but at least I've been good with spanners and bikes all my life so know my way around one. The VFR is actually one of the more straightforward bikes to keep running nice IMHO. Short of taking the motor out I've had the bike apart in order to correct the ills that were letting it down. Steering bearings dry and worn...tapered needle rollers installed but tricky to set correctly. Shock dumped its oil...on the lifting table thankfully...Nitron Shock fitted. Removal of linked braking system...due to age. Warped front discs...EBC rotors fitted. Motad stainless headers with Fuel 350mm round slash cut silencer. I miss the litre sportsbike hit but the VFR does it all so well albeit not in the ABS, multi map, traction controlled way, but I don't want that. With RC45 origins and gear driven cams, the motor can't fail to exude character and has a creamy smooth slightly revvy nature that's addictive. The price is bottom end fuelling that needs the rider to pay attention in order to make smooth progress at low speeds. Hence I will be fitting a Power Commander 3. 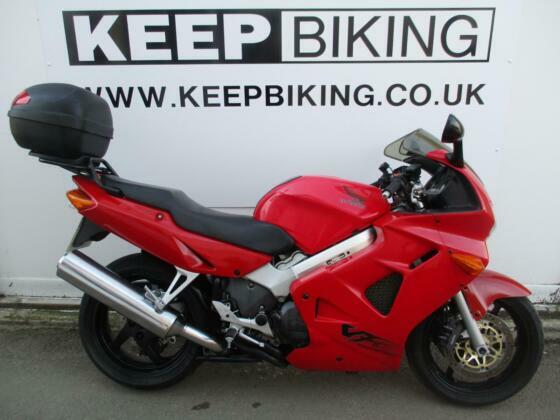 I'm actually in the process of selling my 1999 VFR and going for a later 2006 VTEC model. My very brief impressions of all the VFR's I've owned are as follows. 1999 model, much smoother engine without the 2002 oxygen sensors, but with the lack of stainless steel headers they rot through very quickly, also the earlier first gens vibrate much more, especially on the left peg which over a long ride can cause significant discomfort (this was fixed on the 2000-2001 versions). For me the best of the breed is the 2006 VFR+ as they have many updates including a revised VTEC system which is a huge improvement over the earlier versions. One thing to watch out for though is the thermostat, this can fail on early bikes which causes a really dangerous transition if the temp is hovering around the engagement temp of 67. I won't go into the wiring harness gremlins but I have had a 2003 VTEC lose all electrical power at night once when I was riding two up! Very scary indeed. The 2002-2013 models have a slightly lower footpeg and with its larger seat I find far more comfortable to ride for longer periods. I was quite shocked when I sat on the new 2014 VFR to find the legs were higher than my Blackbird with a higher reach to the bars! I've been through mine from front to back so know the bike inside and out. From head bearings, thermostat and fork re-Spring to complete swing arm and stub axle service to a complete front brake transplant and rear brake de-link. Blanked off the PAIR as well! Sure it's not the most powerful, torque laden thing out there but that motor has a charm all its own. Big smiles per mile and all day comfy so I'm not going back to a sports bike any time soon. 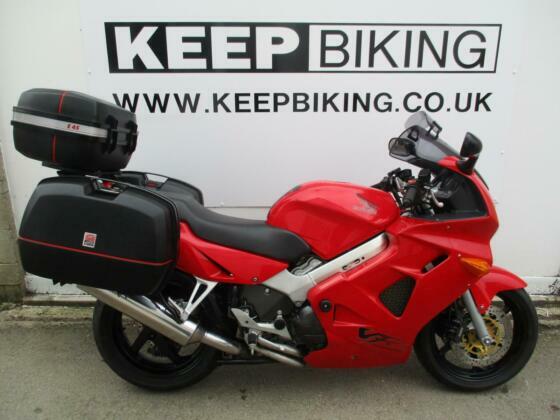 A 1050 Speed Triple may just be added but the VFR has a birth for many years yet. Being a 1999 with just 17,500 on the clock with no winter usage, I bought mine to enjoy and as a future investment. So far so good! Check out this super useful long term review from Speedmonkey / Colin Hubbard.